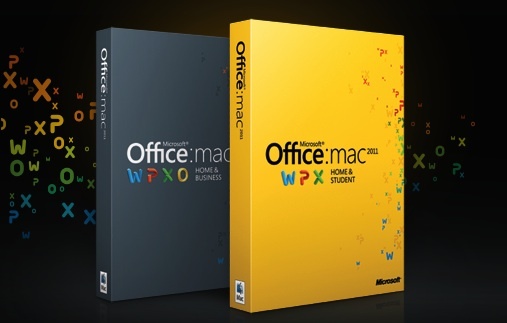 Microsoft today confirmed that the two most recent versions of its flagship Office productivity suite for Mac are fully compatible with OS X Mountain Lion. Office users are advised to ensure that Microsoft AutoUpdate is enabled so that their installations can be updated as needed to take full advantage of the new operating system. - Mountain Lion ships with a new feature called Gatekeeper. Gatekeeper helps protect users by allowing you to choose to only download and install software from known developers, like Microsoft. Please note that due to the Gatekeeper architecture, updates will not run when you download and initiate them on your desktop; instead please use Microsoft AutoUpdate to keep your copies of Office for Mac current. yes, 2011 is MUCH better than 2008. Sigh. Now I'm gonna have to buy 2011. Dude, it says 2008 is compatible. You should upgrade regardless, but that's still awesome backwards compatibility! Unlike Intuit! NOTE: MS Office 2011 Mac is NOT compatible with Retina Display of MacBook Pro 2012 Retina!!! But it works but just not as sharp as other apps on the display is what you mean? I was looking at 2011 but might stick with 2008 unless I can get a deal and the thrown in the latest Office when I get my new iMac. That's disingenuous and deliberately sensationalized. Compatibility ≠ optimized. Office 2011 works fine on an MBP Retina. Just as non Retina-enhanced iPhone apps work just fine on an iPhone 4/4S. That it does not have Retina graphics does not make it it incompatible. Look up the word compatible (dict://compatible) in the dictionary some time, because you don't seem to understand it. They might have 2004, X, 2001, or 98 or a Windows version. They didn't say 2008.